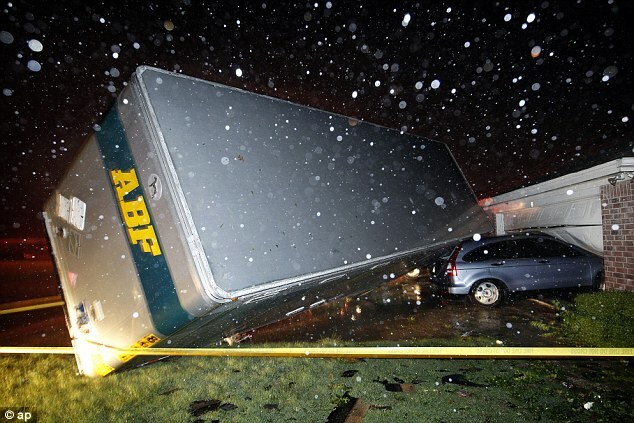 Ten tornadoes wreak havoc across Fort Worth – including one a MILE wide – causing ‘multiple fatalities’ and injuring at least 100. Scroll down to videos! Here a photo of one tornado just south of Priddy, Texas headed towards Hamilton today – as multiple tornadoes hit across the north Texas area. 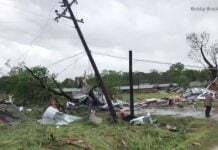 Hood County officials confirm at least three people were killed and another 16 critically injured by the storm. 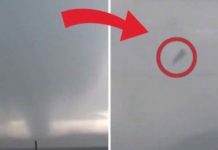 As shown in the next photo, the 10 tornadoes were part of a system of severe thunderstorms that spawned several tornadoes across North Texas – causing major damage and loss of life. 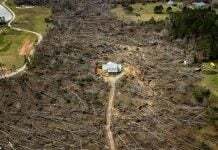 Up to 75 homes have been destroyed across the area affected. Here a trucking company trailer landed on a car that was parked in front of a Lindsey Ln. home in Cleburne Texas. 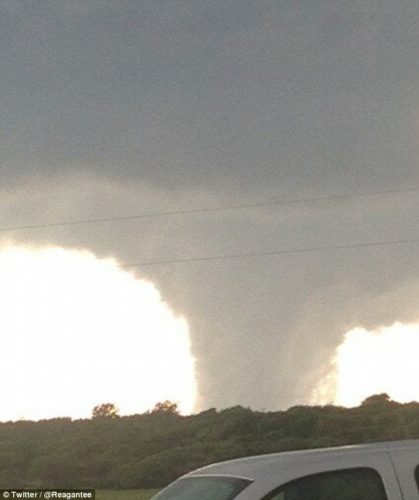 Here a video of a large tornado just southeast of Mineral Wells, Texas. Reports of mass casualties from this same supercell in Hood Co, TX. 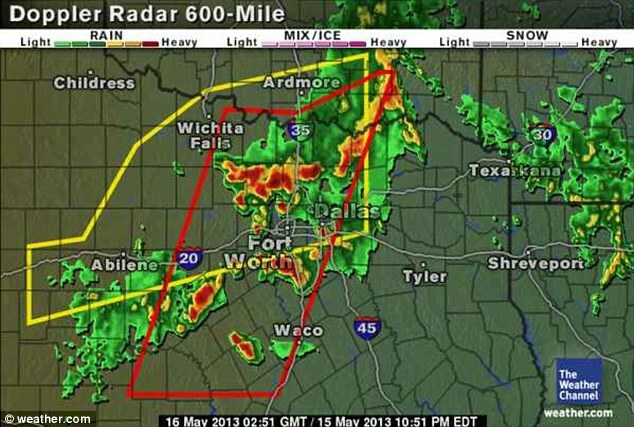 Tornadoes reported all around the DFW area.